Sven Beckert places cotton at the center of his colossal history of modern capitalism, arguing that the growth of the industry was the “launching pad for the broader Industrial Revolution.” Beckert follows cotton through a staggering spatial and chronological scope. 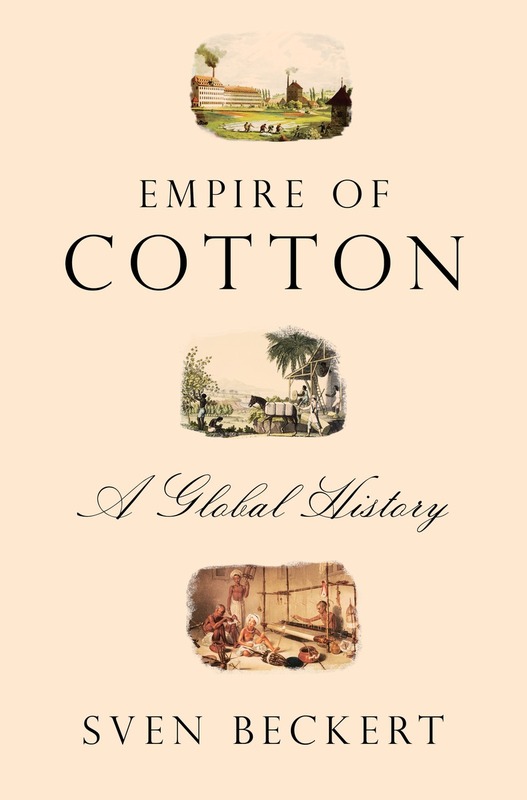 Spanning five thousand years of cotton’s history, with a particular focus on the seventeenth to twentieth centuries, Empire of Cotton is a tale of the spread of industrialization and the rise of modern global capitalism. Through emphasizing the international nature of the cotton industry, Beckert exemplifies how history of the commodity and global history are ideally suited to each other. 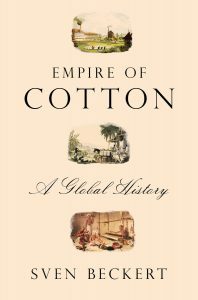 Produced over the course of ten years and with a transnational breadth of archive material, Empire of Cotton is a bold, ambitious work that confronts challenges that many historians could only dream of attempting. The result is a popular history that is largely successful in attaining the desirable combination of being both rigorous and entertaining. By Petri Paju (Turku) and Thomas Haigh (Wisconsin, Milwaukee). My colleague Richard Toye at Exeter wrote this interesting blog about originality in historical research – the equivalent of the theoretical contribution in management and organization studies. For anyone contemplating a research career in History, perhaps the most daunting thing is coming up with an original project. Whatever your period or area of interest is, there is likely a considerable body of scholarship on it already, and in some fields the volume will look simply enormous. How, then, can you work out what remains left to be done? Even more importantly, how can you craft a PhD proposal that promises to do more than simply “fill a gap”? Enterprise and Society: The International Journal of Business History is seeking expressions of interest from teams wishing to act as Guest Editors of a Special Issue of the journal on ‘Histories of Business and Inequality.’ This issue will be the first in a new initiative recently announced by Enterprise and Society and Cambridge University Press. This initiative adds a fifth issue to the four published annually by the journal since it was founded in 2000. The new fifth issue, which will be published online, is designed to significantly enhance the reach and impact of business history by creating a space in which to explore inter-disciplinary dialogue and address very large scale problems in ways that are beyond the scope of conventional original research articles and typical thematically focused special issues. In a significant departure from conventional practice the agenda for this new initiative will be set by the editorial team at Enterprise and Society. We will then seek bids from editorial teams able to show that they can take that agenda and shape it in creative ways that will enhance interdisciplinary dialogue within and beyond the fields of business history and history, leading to important and impactful new insights. 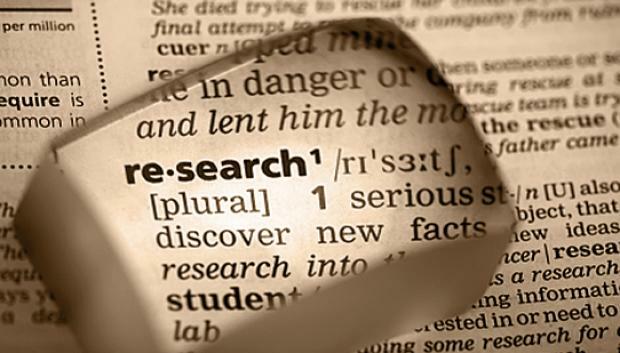 The initiative aims to generate not only highly original new research but also, more importantly, bold and ambitious synthetic articles exploring the issue at hand in provocative ways. Successful editorial teams will be given an opportunity to organize a supporting workshop to be held in conjunction with the Annual Meeting of the Business History Conference, on whose behalf Enterprise and Society is published. It is anticipated that the first issue of this initiative will be published in 2020. Please see below for further details of the proposed timeline. state owned enterprise and business in non-capitalist societies. We seek expressions of interest from outstanding editorial teams. Bids will be assessed on their ability to fulfill the remit of the Special Issue. That ability will be assessed according to both the composition of the editorial team and how they propose to shape and address the chosen theme. Both should be aimed at ensuring interdisciplinary dialogue and scholarship and bold thinking. document (maximum of two pages, single spaced) outlining how the team proposes to shape and address the theme. The section above in this document outlining the theme of ‘Histories of Business and Inequality’ contains questions that are intended to be indicative only. Proposals should show creativity and initiative in the shaping and addressing the theme of Histories of Business and Inequality. In this respect, the main criteria will be the potential for generating interdisciplinary dialogue and fresh perspectives. This document will form the basis of the successful team’s subsequent Call for Papers. Proposals suggesting a variety of article formats will be welcomed. It is important to stress that though published online all articles accepted for publication in the Special Issue will be subject to the same peer review and editorial processes as articles appearing in the regular print issues. They will also be produced and formatted to identical standards as those in regular print issues. Articles appearing in the Special Issue will be Enterprise and Society articles in every sense. Proposals, consisting of a description of the proposed editorial team, a document outlining how the theme will be shaped and addressed, and Curriculum Vitae for all team members, should be sent to Editor-in-Chief Andrew Popp by January 31st 2018 at andrew.popp@liverpool.ac.uk. Enquiries from prospective teams are welcome and can be sent to the same email address. * Attendance at the workshop by authors under consideration is strongly encouraged but not obligatory. Guest Editors will be given significant logistical support in organizing the workshop. Management Learning marks its 50th anniversary in 2020. Management Learning has a long history of publishing critical, reflexive scholarship on organizational knowledge and learning. This special issue provides a forum to celebrate and build on this history through critical and reflective engagement with the past, present and future of management learning, knowledge and education. Taking a historical approach is all the more pressing given recent and impending crises – geo-political, technological, environmental and humanitarian – since some crises only make sense when seen in the fullness of time (Casson and Casson, 2013). We therefore encourage scholarship that challenges the disciplinary past of management knowledge, learning and education and enables more diverse, innovative futures to be imagined.